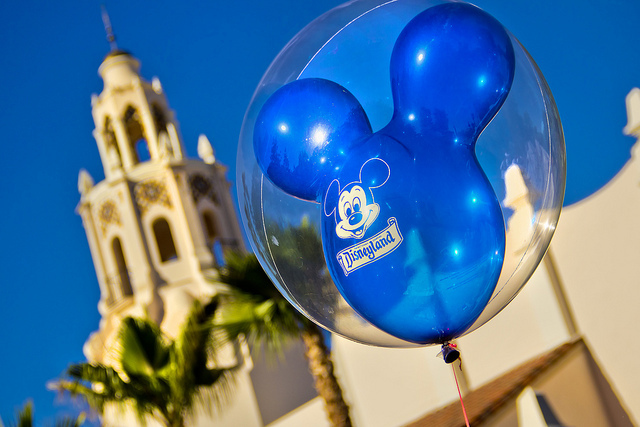 Disneyland is celebrating its 60th birthday this year and the celebrations are already under way. With over 16 million visitors from all over the world per year, it continues to be a huge success. But how did Disneyland become the most magical place on Earth and what can project managers learn from it? The answer is: ‘Imagineering’ (a portmanteaux of the words ‘imagination’ and ‘engineering’). Walt Disney and Disneyland did not become so successful by coincidence. No, it was thanks to a mix of imagination, passion and hard work. One of its main secrets to success was the setup of “Walt Disney Imagineering” (WDI), the department responsible for the design and development of theme parks and attractions. While they have to deal with ‘traditional’ project management issues, they also face other challenges and very rigorous constraints. Nevertheless, the WDI project team has an astounding track record of exceeding expectations and delivering projects on time and within budget. Following the Imagineers’ example might open a whole new world for traditional project management. Walt Disney can probably be considered the “Godfather of imagination” who can make dreams come true. But his visions would have remained mere dreams and never become a success if he didn’t have a clear strategy. He identifies three roles every person inhabits during the creative process. Each role is important for the success of the project and it’s important to find a balance between them. The dreamer is someone who comes up with ideas freely and without any thoughts about whether they are realistic or not. No matter how outlandish or ridiculous the ideas might seem, they are all welcome and there are no boundaries or limitations. The realist turns the ideas of the dreamer into reality, i.e. makes things happen. The realist has analytical skills, is pragmatic and is committed to bringing fantasy to life and to creating something ‘magical’. At first glance, the critic might seem a bit like a spoil sport, but this role is just as important as the other two, as he’s the one who evaluates what the dreamer and realist have produced. The realist scrutinizes everything and provides constructive feedback. Built upon the creative strategy, the Walt Disney Imagineering department is the place where the magic happens – or rather where the magic is being developed. What is unique about the WDI is that people from traditionally different departments and disciplines work together and all of them carry the same title of “Imagineer”. At WDI architects, engineers, artists, special effects artists, writers, researchers, financers and people from many more fields work together to literally make dreams come true. Teamwork is the most important aspect of Imagineering and a project is always the product of the whole team. Because of this diversity, projects can be developed with input from various standpoints (see the creative roles). As a project leader, you should also create a diverse team with different knowledge and skill sets because they can provide different perspectives and innovative ideas. What sets Disneyland apart from other parks is that everything in it, even the smallest stone and tree, is part of a story. For the Imagineers, developing a new attraction is not just about creating something fun and technologically advanced, but it needs to tell a story and give the guests the feeling that they are part of it. That is the main objective on which everything else is built on. Project management usually does not involve telling stories like at Disneyland. But what traditional project managers can learn from it is to try and see things from their customers and stakeholders’ point of views and offer a product or service that will provide them with an ‘experience’. Because creating a theme park like Disneyland is a lot like making a film, the Imagineers use storyboarding as a planning method. It’s essentially a comic strip that shows an attraction as a whole so that the project team can plan and coordinate all the details around it (e.g. music, special effects etc.). As a project manager it’s important to not lose the overview on your project, so having some kind of visualization of your project plan can help you keep it. At WDI not even the sky’s the limit. During the “blue sky”-brainstorming phase, coming up with outrageous ideas is explicitly welcome. In other companies, brainstorming sessions might last a few hours or, at most, a day or two. At WDI, this phase can last a few years. What’s more, they never completely throw away an idea. It’s common that Imagineers go back to an idea after a few years and then realize it. Project managers are often afraid to be creative or to put forward crazy ideas as they can pose risks, but also because cost and time constraints put pressure on them to be efficient rather than use their imagination. But it’s actually because PMs are under so much pressure and project success depends on so many variables, which are sometimes unpredictable, that they need to be creative. For some issues, you won’t find a suitable solution in a text book, you need to have a little imagination to solve them. Imagineers also have to deal with the triple constraint of cost, time and scope, but they face 3 more constraints: safety, quality and aesthetics. Particularly safety is non-negotiable with millions of people’s lives at stake. This puts a lot of pressure on the Imagineers to develop an attraction around a tight schedule (deadline is opening day, no later), extremely tight budgets, guests’ satisfaction, and that can withstand usage of up to 20 hours a day, 7 days a week for at least 20 years. Sounds like a nightmare? Well, it’s a reality for Imagineers and they actually manage to do it. Look at Disneyland and you can see that it’s possible to reconcile quality and aesthetics with budget and time constraints. How to Create Magic – Project Management Lessons from Walt Disney Imagineering - InLoox • Copyright 1999-2019 © InLoox, Inc. All rights reserved.